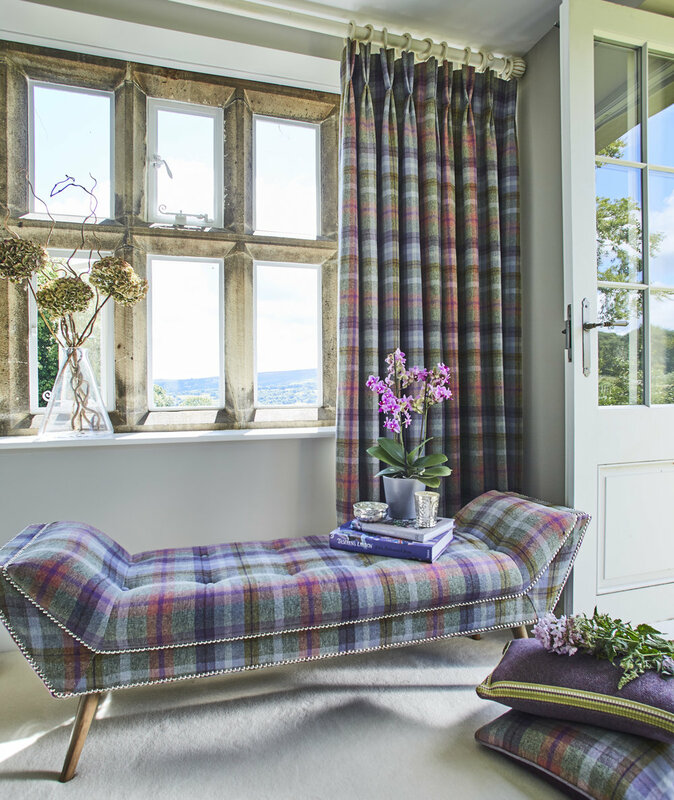 We use a family owned workroom where machine made and hand made traditional formal headed curtains are made to a superb standard. All are lined or interlined according to the fabric thickness and the ultimate style required by the client. Our 3rd party installer has the experience and knowledge to hang your curtains with the poles or tracks of your choice. All curtains are left banded and a protective cover can be left in situ if required.